Note: Learn how to preview and refresh your mappings. You can filter the fields displayed in the sidebar, by mapping status. 1. 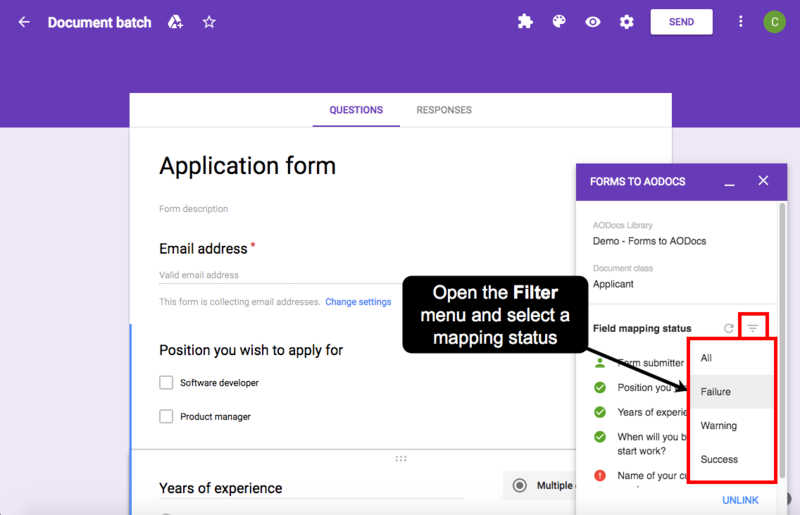 Open the Filter menu and select the required mapping status: Failure, Warning or Success. 2. The filtered fields are displayed. 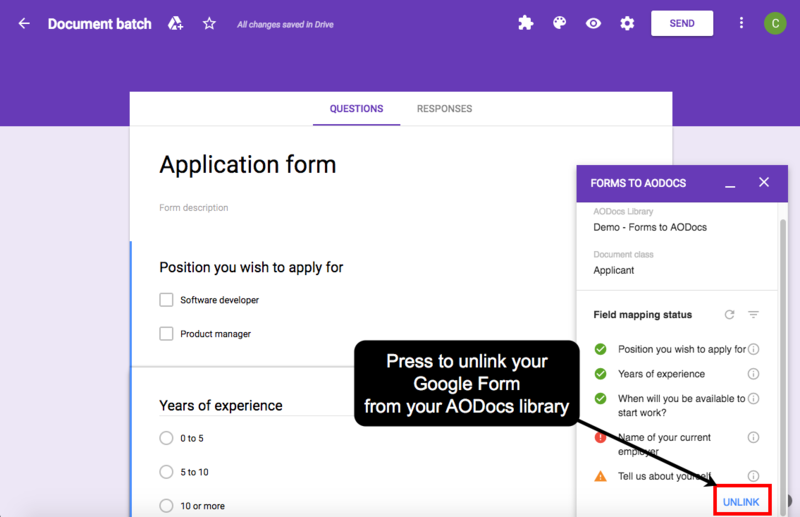 To unlink your form from the AODocs document class and prevent the creation of further AODocs Documents, press Unlink in the sidebar. If you want your users to completely stop submitting your form, disable the Accepting responses option.